At the Pastel Society of New Mexico’s 26th Annual Exhibition, held this year at the Sorrel Sky Gallery in Santa Fe, New Mexico, two of my entries were accepted: Last Rays and Freight House #3, Hole in the Roof. Last Rays was featured on the first of Sorrel Sky’s email show announcements, and Freight House received one of the prizes given. The last post referred to an exhibit I was to have with Ileen Kaplan in September of 2017. It has come and gone, but was very well received! Last Rays is one of the paintings from that exhibit, which had been titled “Luminous Worlds”. 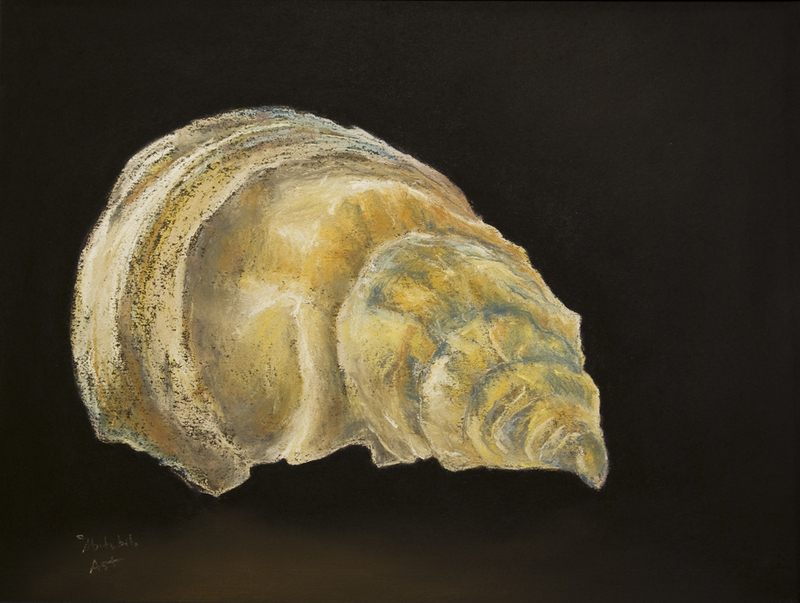 I hope to have additional paintings from the exhibit in a new category. After a good 4-week trip to see family and friends, it’s time to get more serious about the exhibit of new work I’m having with Ileen Kaplan in September of this year at the State of the Art Gallery in Ithaca. Should be a really good show! 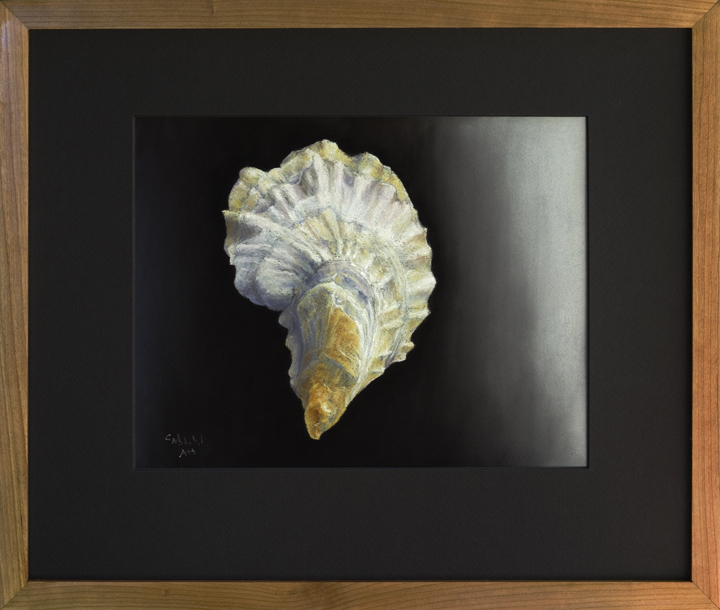 Currently I still have Oyster Portraits at the Skaneateles Artisans Gallery in Skaneateles, NY. 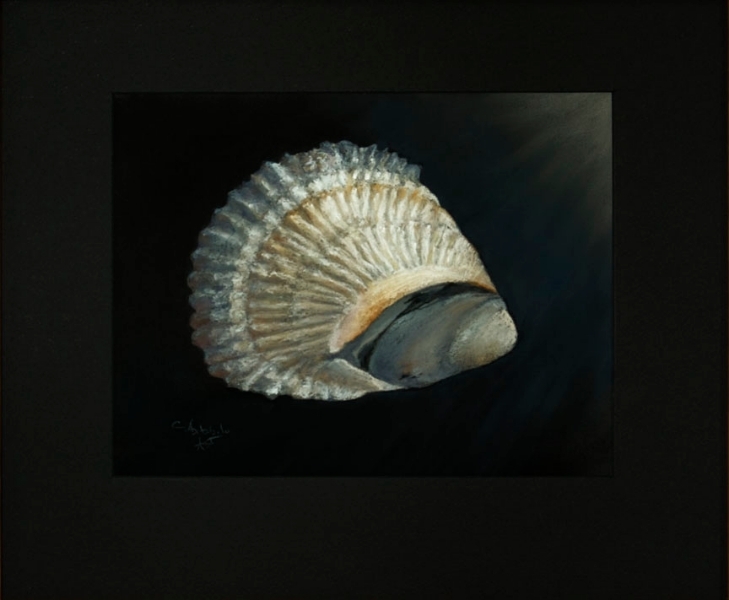 Will be exchanging them soon for one seascape (Heading Out) and one landscape (Birch Grove). Worth a visit! Since my last post, I’ve been to France on a painting trip with several other artists which had been organized by Terry Plater, spent some time in New Mexico to do more painting — although not as much as I would have liked, and again enjoyed more time in Colorado and Maine. We’ve been busy traveling to visit family now spread between Colorado and Maine, while trying to fit in significant time for painting. Difficult! In September I’ll be having an exhibit in Ithaca with Ileen Kaplan at the State of the Art Gallery. 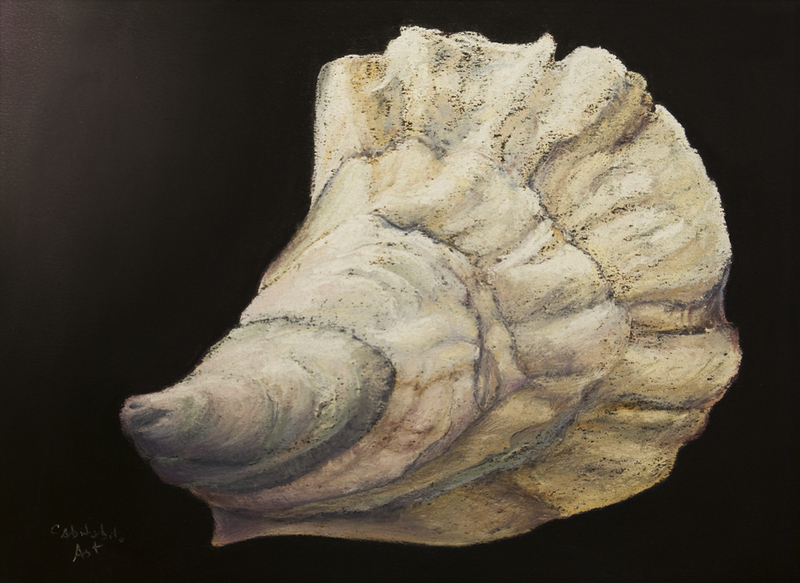 I’m hoping to loosen up in my method of applying the pastels, not getting caught up with the details as I usually do. We’ll see! 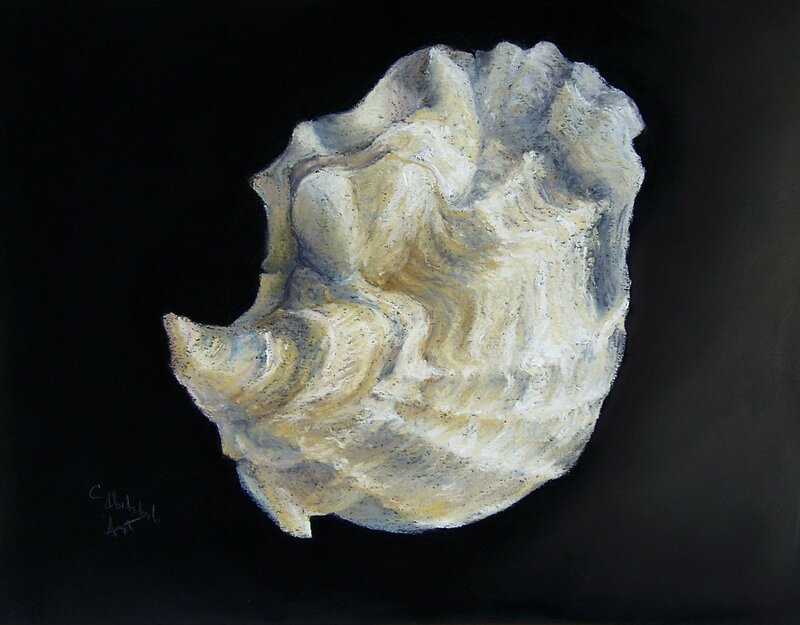 Currently I have several of my oyster “portraits” at the Artisan Gallery in Skaneateles, NY. 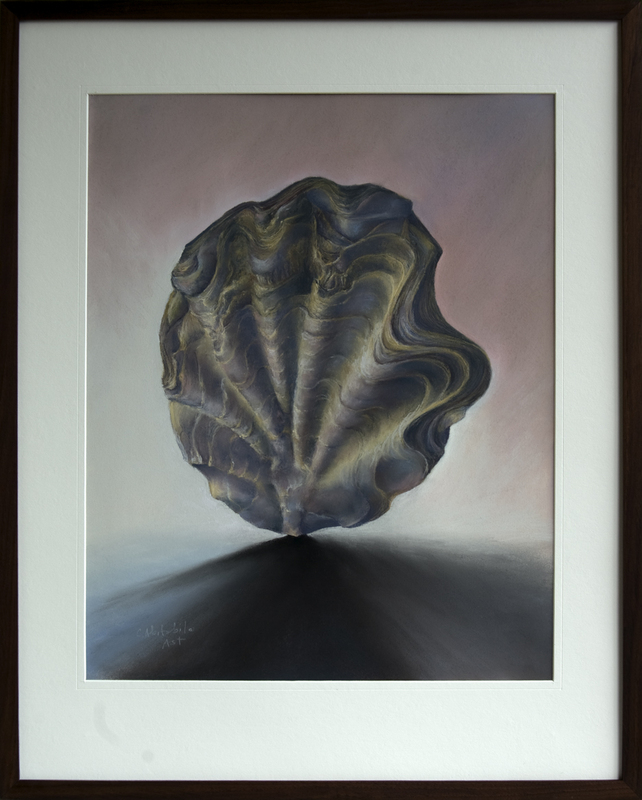 In addition, I’m delighted that Rowan Jacobsen, noted author and authority on oysters, has featured them on his website, oysterguide.com/new-discoveries/astounding-oyster-paintings/. …..for number of months without having written here! Not something to be proud of, though. It’s been a relatively good year as far as exhibits go — the exhibit at the Port Clyde Gallery (Maine), where I was featured artist for 3 weeks during the summer, was successful. “Hedgerow”, which was accepted into the Pastel Society of New Mexico’s annual exhibit, was sold. (It’s in the Painting category here under “Northeast”.) It actually had a place waiting for it in my dining area, but better that it goes to a good home! Working at the moment on three different pieces, with a few more on the back burners. 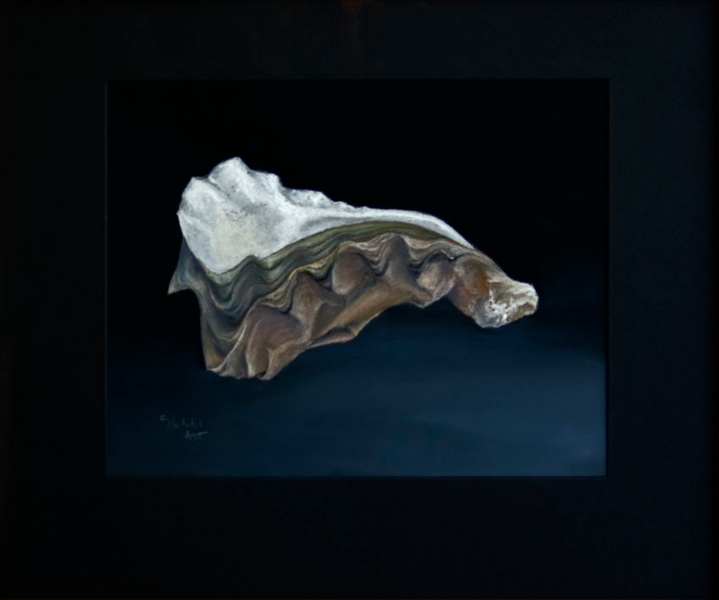 The most recently completed Oyster Portrait: Pemaquid, #2, will be added to the website soon! 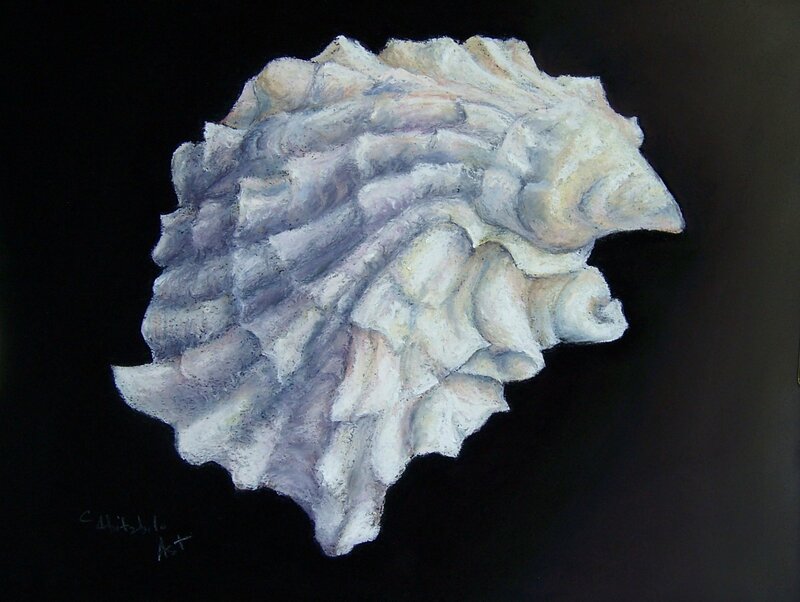 It’s quite different from Pemaquid, #1, which was actually the first oyster portrait I painted. Not only have I improved (I think! 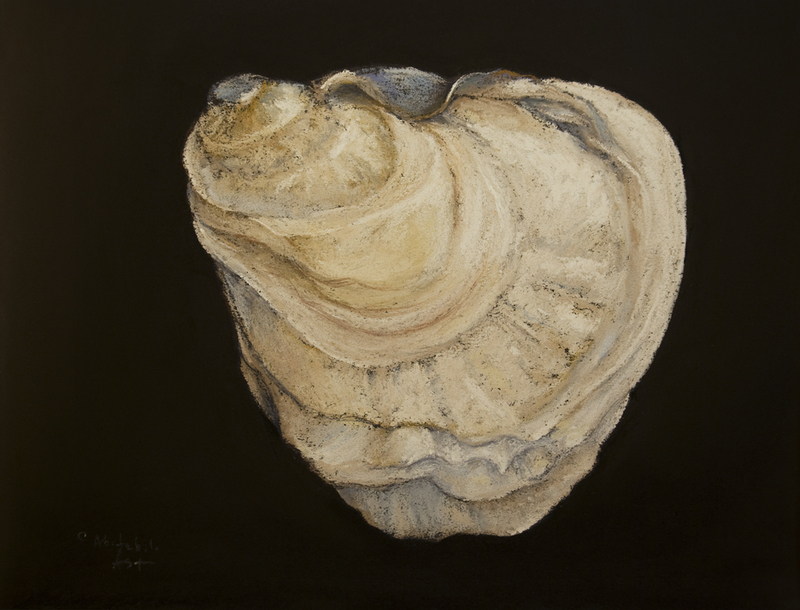 ), but the form of the second Pemaquid oyster is less compact and monochromatic than the second. 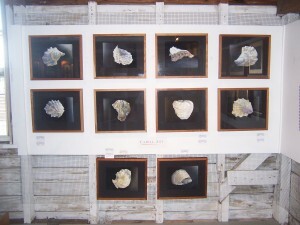 Variation is very typical of oysters! 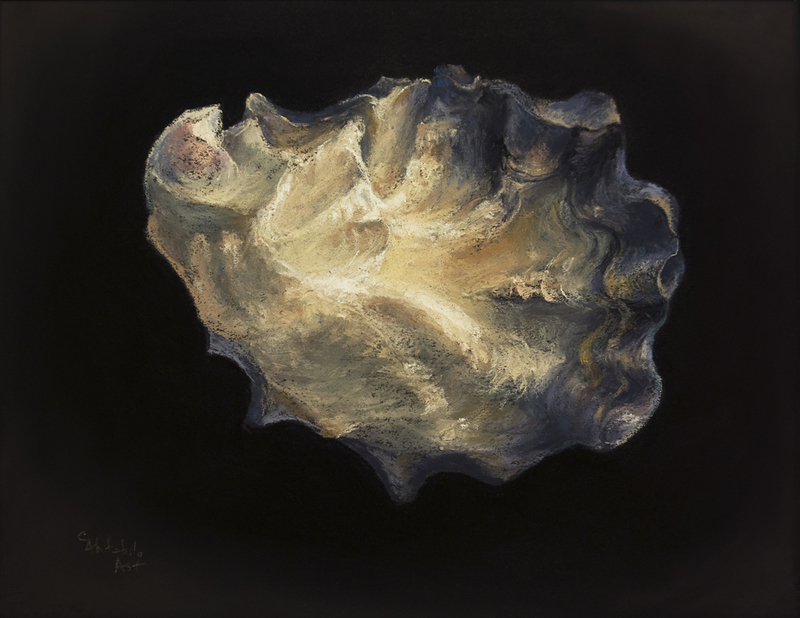 I have accumulated well over hundred oysters which I’d love to paint, and in some cases, such as those from Island Creek (including Duxbury and Cotuit), I have probably over 20 different oyster subjects! 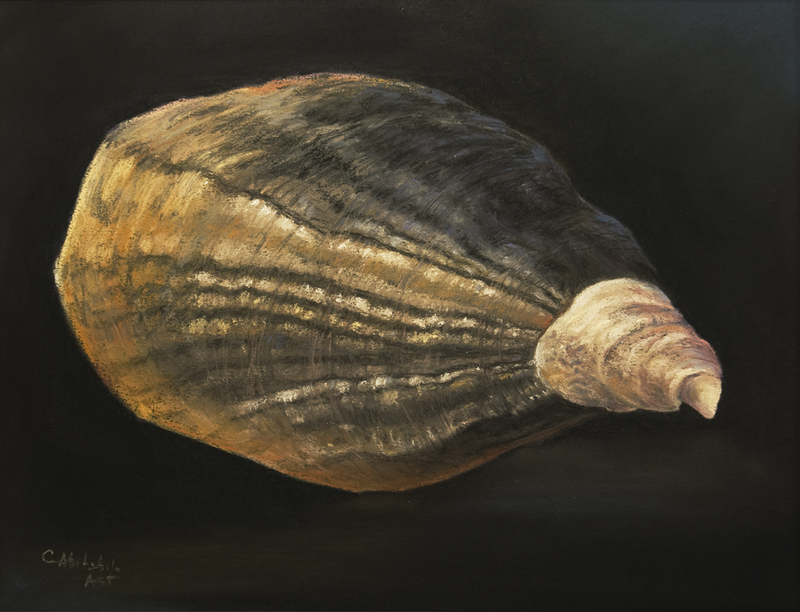 Between June 18th and July 7th I’m the featured artist at the Port Clyde Art Gallery in Port Clyde, Maine (www.portclydeartgallery.com). 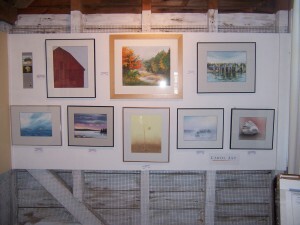 It’s a sweet little gallery on the 2nd floor of a classic red barn at the end of Rt. 131, which extends off Rt. 1 down one of the many peninsulas that jut into the ocean. 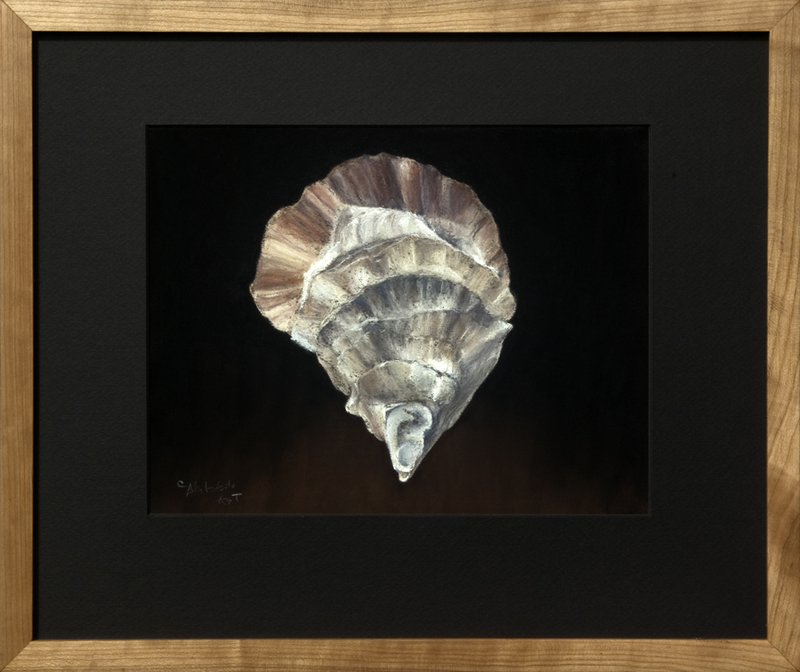 I’m exhibiting a combination of seascapes, landscapes and miscellaneous subject on one wall, and a collection of oyster portraits on the other. 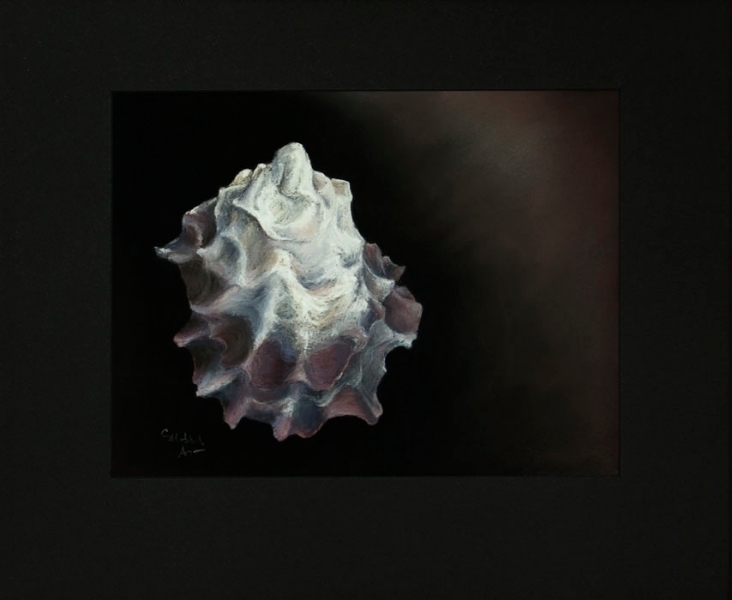 The regular gallery members also have many fine works of art: oil and watercolor paintings, sculpture. cards and jewelry. if any one’s in the area, it’s worth a stop. Hours are 12 – 6, and they are closed on Tuesdays. Examples of their work may be seen on their website, noted above. There’s also a list of the featured artists who will be showing throughout the summer. The new photo of myself which is now on my Artist’s Statement has a red background: the side of a wonderful barn in Ft. Collins, CO. 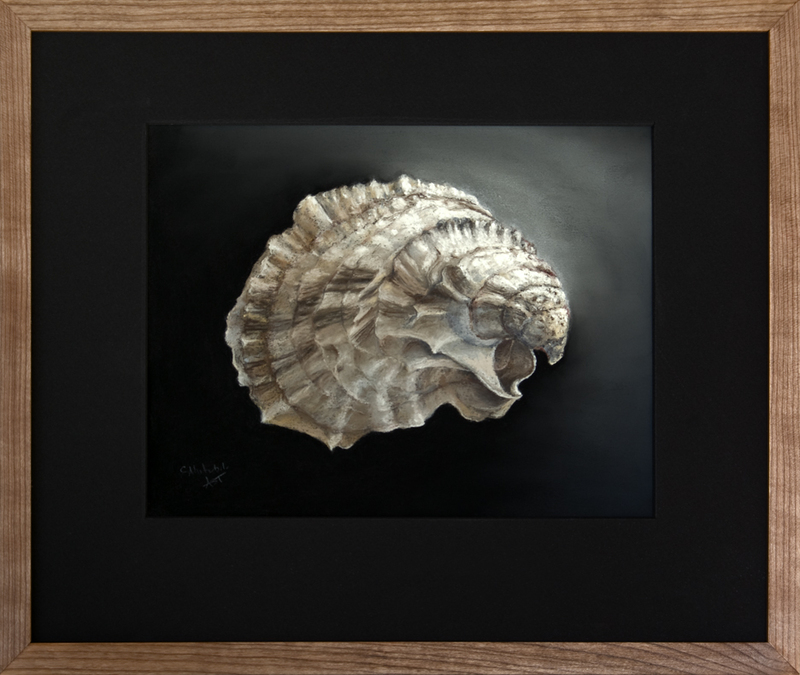 The image which is part of this post is of my painting of it. 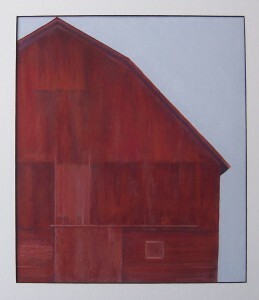 The barn painting is actually #2 of a series I’ve begun entitled Monuments. The first is an image of a tall grain elevator in Manitoba, Canada. I’ll be adding it soon to my Northeast painting category. In order to access the various categories that you see when you click on “Paintings” in the banner, you have to keep your cursor on “Paintings”, even though there’s a funny icon that comes along with it (not very computer literate!) and spool down to the category you want to see. It will then be highlighted. Click on it, and the paintings in the category will come up. Sorry about this! Will try to have it behave in a more usual way as soon as I can. 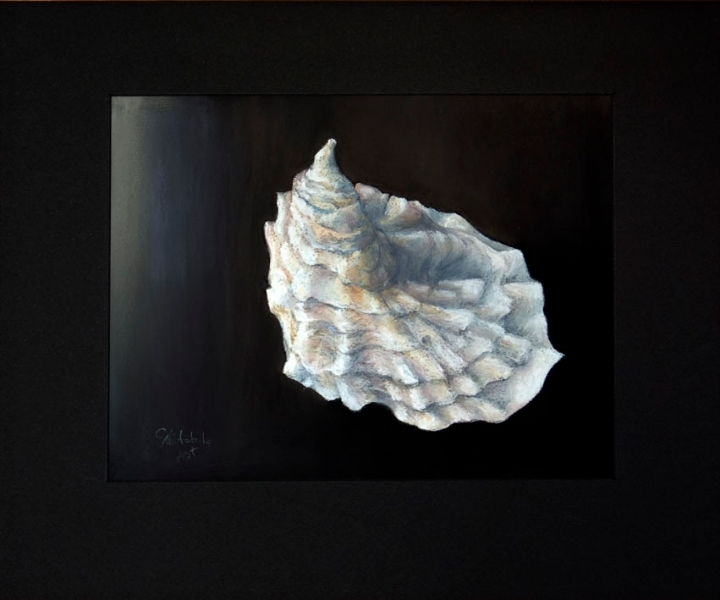 I’ve gotten some comments about the series I painted to demonstrate my feelings after having had a mastectomy. Re-reading the introduction to that section I realize that it’s really out of date. I’ll have to change the numbers: my mastectomy was 17 years ago, and so far, thank God, no recurrence. The first time the series was exhibited, I watched people who were looking at it — most very intently. One gentleman told me that it was one thing to read about the effects of mastectomies on women, but when those effects were illustrated there was a greater impact — because it was easier to understand them in a visual rather than intellectual format. Time for those resolutions again. 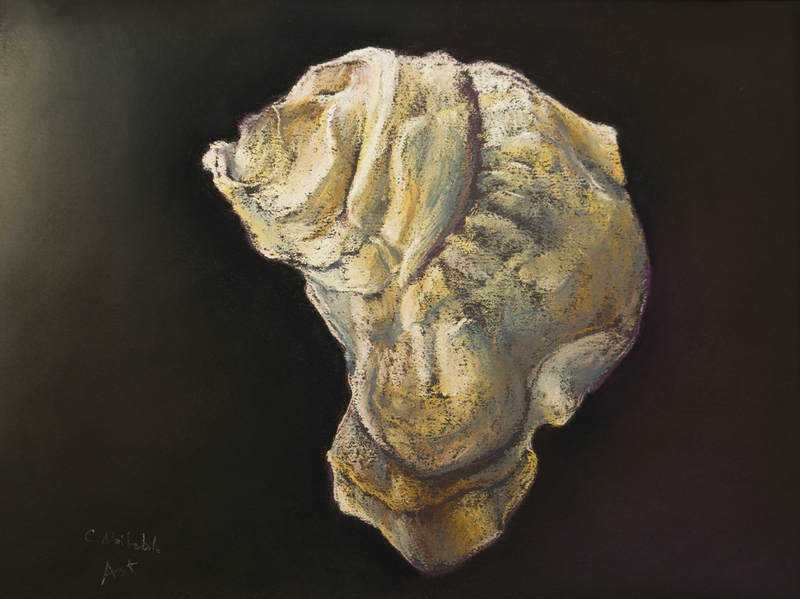 Must spend more time with my pastels! Must work, not just enjoy. Work means trial and error, making pictures that aren’t all first-rate, just to get moving and experimenting, shaking out the old stuff in order to renew myself. It’s a difficult thing to do because it means some awful stuff will be done in the name of progress. So I’ll go through it and throw the stuff out afterwards —- or keep it remind myself where I had been! (With luck and perseverance! ).